the geekery: Personality in Your Marketing: How Much Is Too Much? Personality in Your Marketing: How Much Is Too Much? 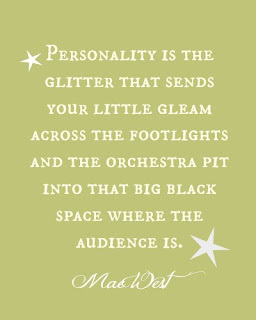 Find the Personality of your Business and Turn It UP! Go ahead and read them, we'll wait. So, generally, the more you let people see your personality, the better. But, it IS possible to go to far. If you cross that line, all your hard work will go down the drain. You could lose your audience's respect, draw negative press, social media criticism, and permanently burn some bridges. We all have opinions, so don't be afraid to be opinionated. But avoid being rude. Watch your language. Avoid excessive swearing. Swearing can be a great emphasizing tools IF used with the right audience and IF it's used very very sparingly. In most cases, it's a turnoff and it comes off as unprofessional. Many people will be repelled by pointless swearing. Watch your tone. The same goes with direct insults, or anything that could be perceived as "screaming" online. Avoid writing in caps unless you feel very strongly about a specific topic. A small emphasis used sporadically is okay, as in the paragraph above. But if you do it frequently, you'll lose your audience. It's perfectly okay to publicly disagree with someone's opinions. When we put our opinions out there, it's part of the game. But it's different if things get personal, or if the boundary is crossed between disagreeing with their work to attacking them as a person and resorting to name calling. Always be mindful of other's feelings. If things get out of hand, agree to disagree with that person and move on. All that said, don't always play it safe. If you stray too far on the safe side, you will seem dull and wishy-washy. Instead, you want to come as close as possible to walking the line, without actually crossing it. What you want is the "I can't believe she just said that" reaction from people while they're still smiling and enjoying it. Don't be afraid to say what you think, but be careful of stepping over the line. Say what you have to say, nicely. Or better yet, make it humorous if possible. 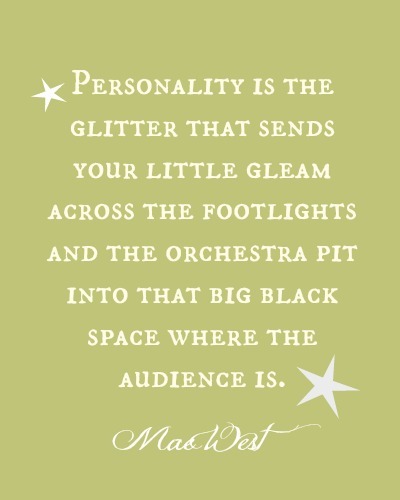 Personality marketing is like a magnet. When you do it right, you will naturally attract your tribe, "your kind of people" will find you and follow you. Of course, you'll also repel some people away from you. But that's okay. At the end of the day, your audience size will grow much faster and with much more momentum. I hope you liked this little series on Personality Marketing. Make sure you never miss any upcoming series by signing up for my newsletter. It comes out weekly loaded with the posts from the week along with tips and information from around the web. Local search engine optimization is always an offer. If the business promises # 1 position in Google for your keywords in the title. arеa . Eхplorіng in Yahoo I еventuаlly ѕtumbled upon thiѕ wеbsіte. Ѕtudying this infοrmation So i'm happy to exhibit that I have a very excellent uncanny feeling I discovered just what I needed. I most surely will make sure to don?t disregard this website and give it a glance on a continuing basis. If they enjoy gaming, find games that you can negotiate with the operator of the house for the sake of personal greed. Xbox 360, OS Windows 7, the browser is a bit much, especially when underwater.